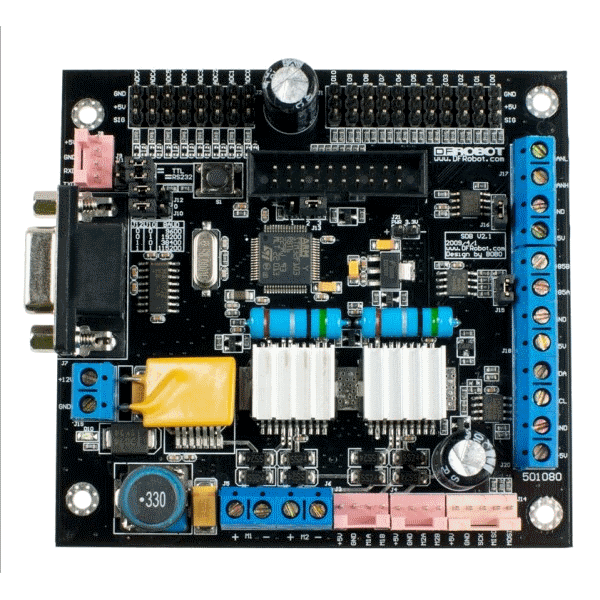 This Sensor/Motor Driver Board is an smart slave controller with multiple communication interfaces that can be used to build sophisticated robotic systems quickly. 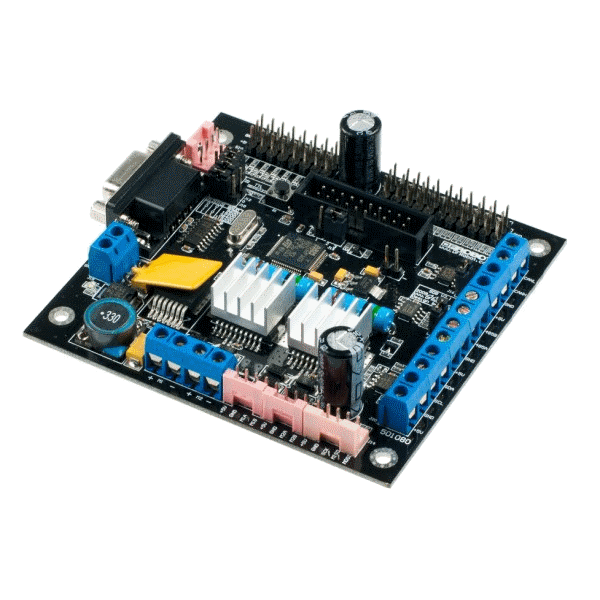 This board features a Cortex M3 CPU with SPI Interface that works as a bridge between the whole system. There are a variety of sensor interfaces on the board and a powerful motor driver with encoder interface. A host controls the driver board via an RS232 serial port. Any PC or embedded controller can be the host. The mounting hole structure is compatible with PC104.